Sadly, it's not as easy as it was to organise car nights compared to the old days when we used to buy cars together. There always used to be one of us pestering the other to do this or that, but with our lives the way they were for the last couple of years, neither of us has pestered the other at all and as such nothing has happened. 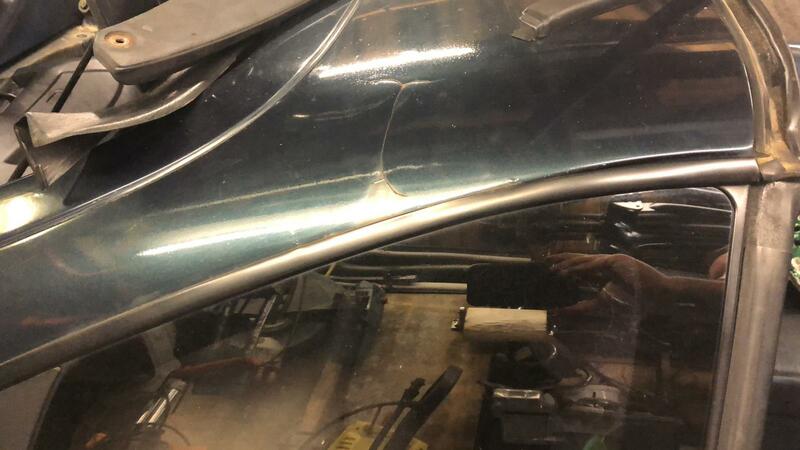 Basically, since we got it we have only managed to make it slightly worse than it was when we bought it, by breaking the passenger door lock and removing the brakes. 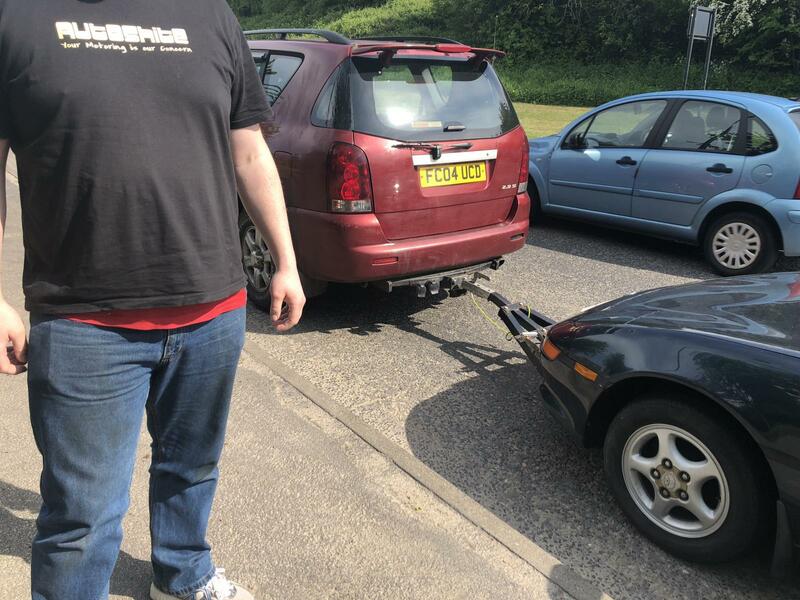 To be fair, the calipers were completely seized so you couldn't drive it far without the wheels becoming too hot to touch so it's not much worse, as it would really need to be taken on a trailer anyway. It's probably corrosion on the caliper which has caused the slider to seize, common problem on these according to people in t'interweb, although a lot of people online seem to also believe that not vaccinating your children is a good idea so don't always believe what you read but I think the verdict on the MR2 brakes is probably slightly closer to the truth. 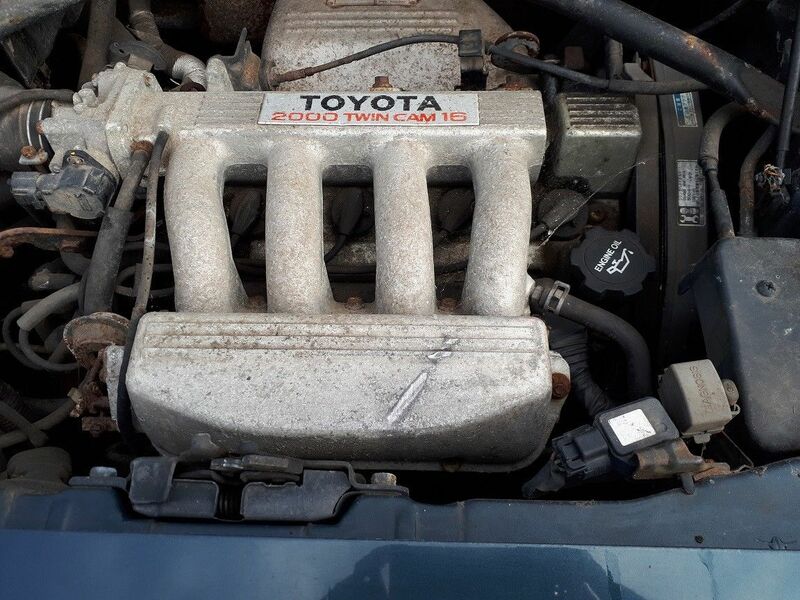 The situation is that my mate who I own it with now needs his drive back as his missus is up the spout again and a harsh dose of reality means that it probably needs to be moved on to someone that will do some work on it as it's not in bad shape at all really. My mate chucked it on Ebay twice and it got up to about £400 both times but you won't believe this, the buyers welched at the end of the auction. *SHOCK*. On Ebay too. Who'd have thought that? One 'bid by accident' and the other was assassinated or was maybe hit by a meteorite or something as he went completely silent and never answered any messages at all. One other chap was really keen, sending all sorts of messages asking the right questions and asked the reserve towards the end of the auction and then bid £10 less that the reserve EVEN THOUGH HE KNEW WHAT IT WAS! A new level of stupid. Maybe he was being nice and was making sure it was going to get to the reserve? Not sure. If that was why, he didn't need to bother as I was ready to bid on it from my account if that situation arose. I know shill bidding on Ebay! Un-believe-able! Anyway, it turned out I didn't need to as it went for over the reserve both times, it just happens that the 'winners' were both mongs. Anyhow, back to the car if anyone is still bothering to read this. 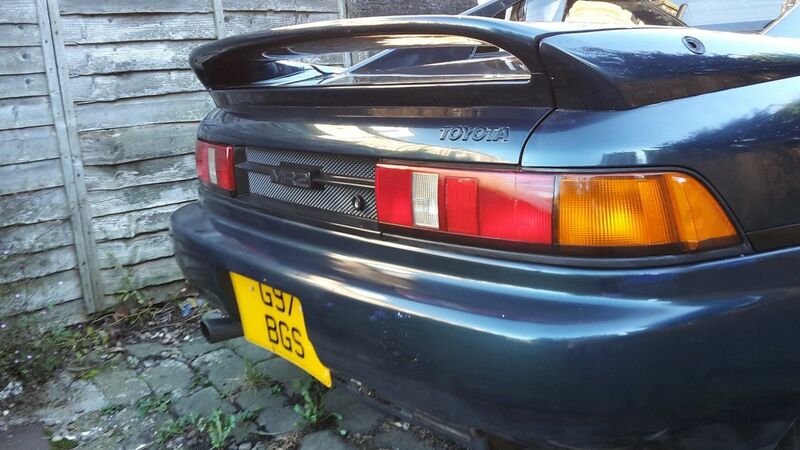 It is a 1989 Toyota MR2 GT T-Bar 2.0 (16v Twin Cam – non-turbo) which we bought from Kru-Joe. It's a Rev1 Mk2 imported in 1999. 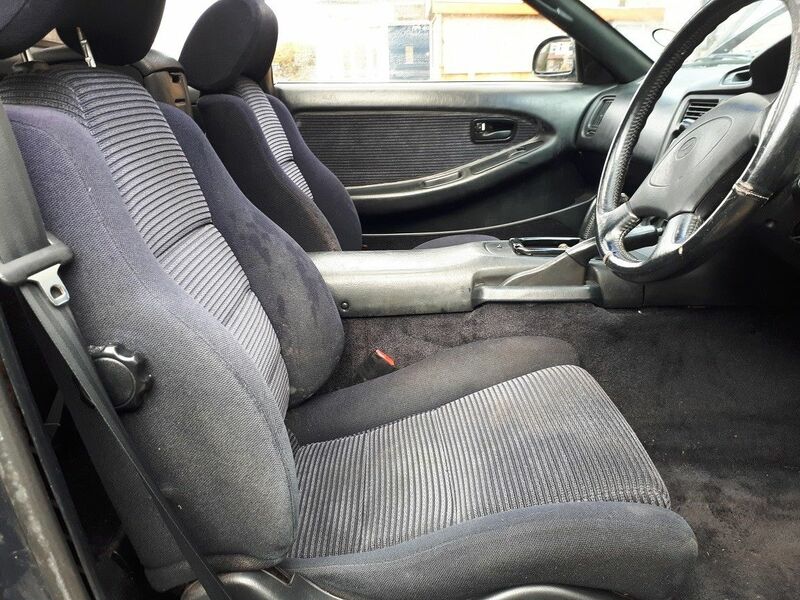 It has a manual gearbox with a cloth interior. 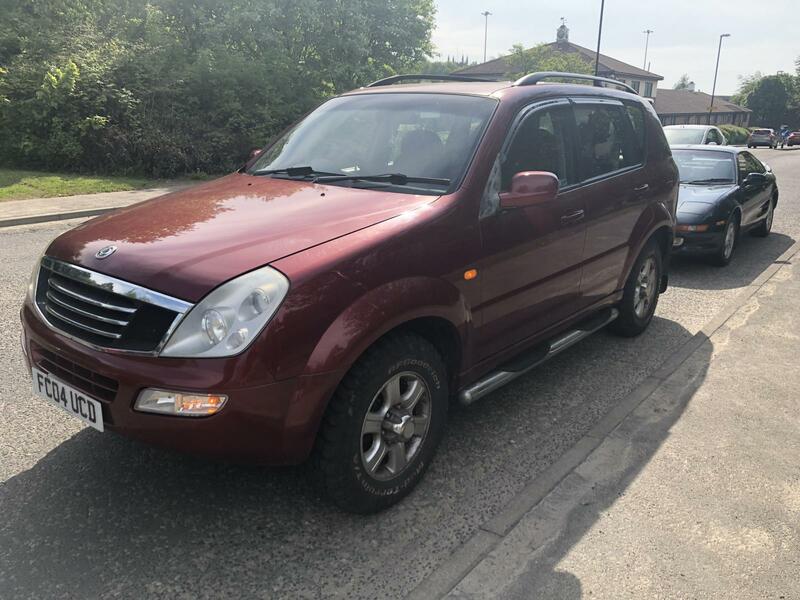 As a G-Limited it came with a number of luxury features like electric windows, cruise control, steering fog lamps, electric folding mirrors and air-con. It also has cloth seats, a twin cam 16v engine and a a T Bar roof. The odometer is in KM and it has covered around 209,000 KM which is about 129k miles. It has been off the road since 2014. 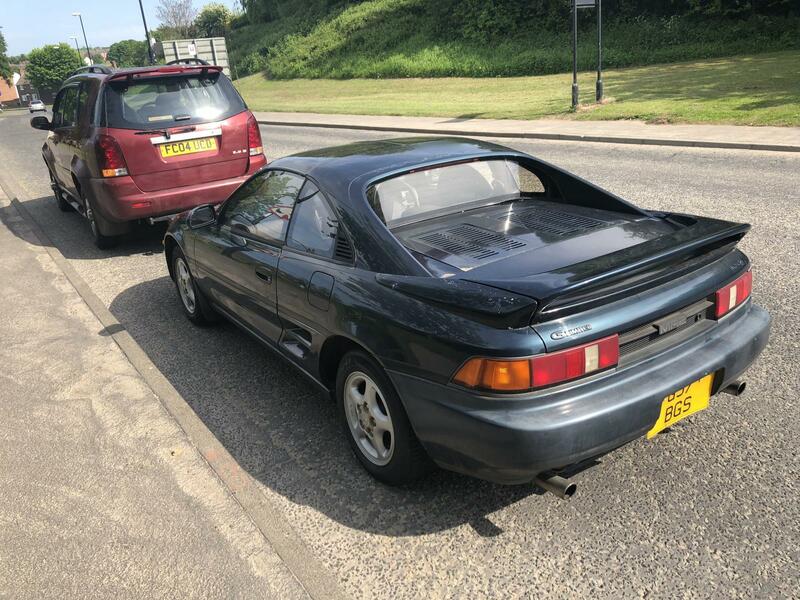 We bought it with the intention of doing a few jobs to get it through its MOT and then using it as a second car (and Harewood Hillclimbs), but we have taken FAR too long over it and it needs to go now before my mates wife gives birth. It handles and drives really well. It will make a great little sports car with a small amount of time and effort. The car is complete and runs and steers pretty well. I drove it to and from my house to the MOT station and the only real issue was with the brakes which were binding. The suspension feels good, with no noises or funny vibrations. The engine runs smoothly and sounds great. The gearbox is a little stiff in operation but I think it just needs to be used to free off a bit as it was loosening up with use TADTS apparently - fluid change might be advisable). All the gears engage as they should. The clutch is fairly light and doesn’t slip. 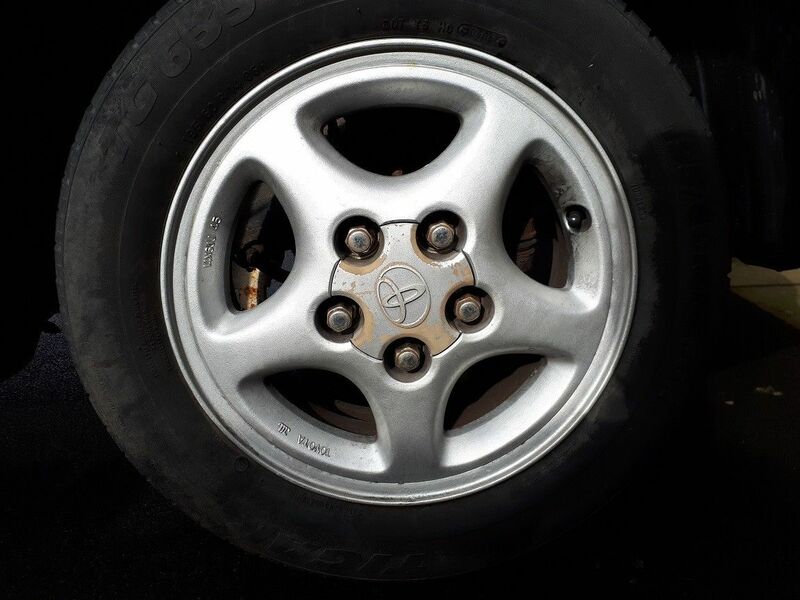 The alloys have been refurbished and look pretty good. All four tyres went through the MOT fine with no advisories. The brake discs and pads have plenty of life left in them. The interior is complete except for the gear gaiter, which I threw away as it was loose and had seen much better days. Both of the T-Bar covers are present and correct (rare I believe?). The battery was holding charge last time I drove it and I will charge it before the auction ends. Failing that I will chuck a new* one from the local scrappy dappy doo on. There is an immobiliser fitted, and the central locking works. All of the various boots, bonnets, trunks and doors open as they should. 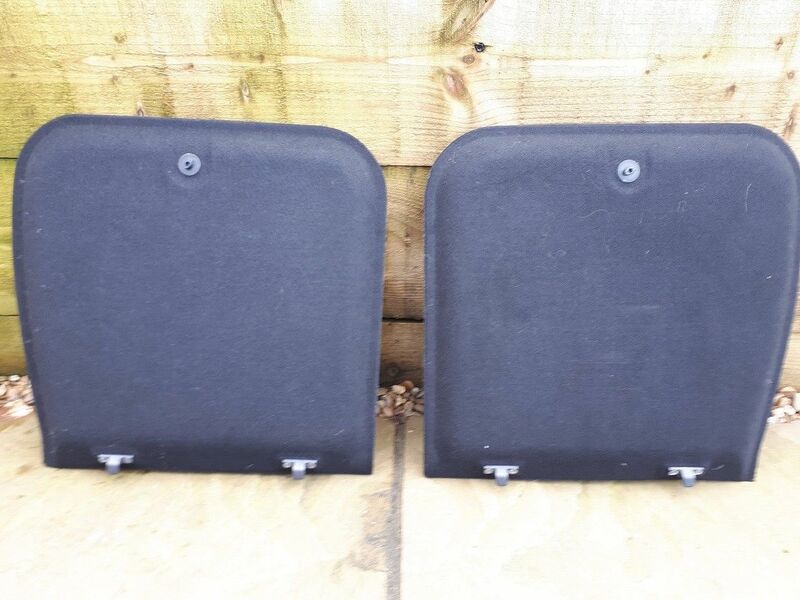 The T-Bar roof panels lift out fine and are in very good condition. The pop-up headlamps work. All the exterior lights work as do the interior lights. The electric windows are working as are the mirrors. All of the trim is present and correct. There is some history in the form of old MOT certificates and some receipts. 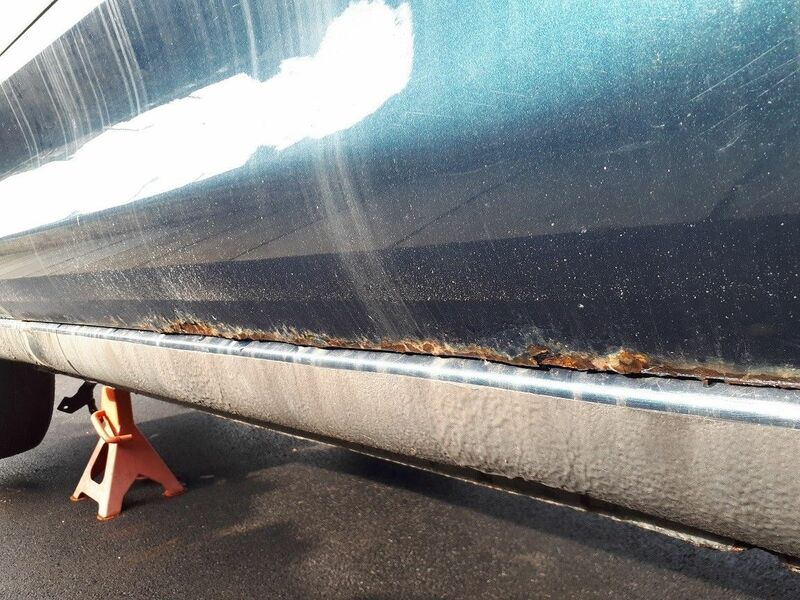 The known rust spot inside the front inner wings is solid as are the arches and the underside. It will have helped its' cause being in Japan for the first 10 years of its life. 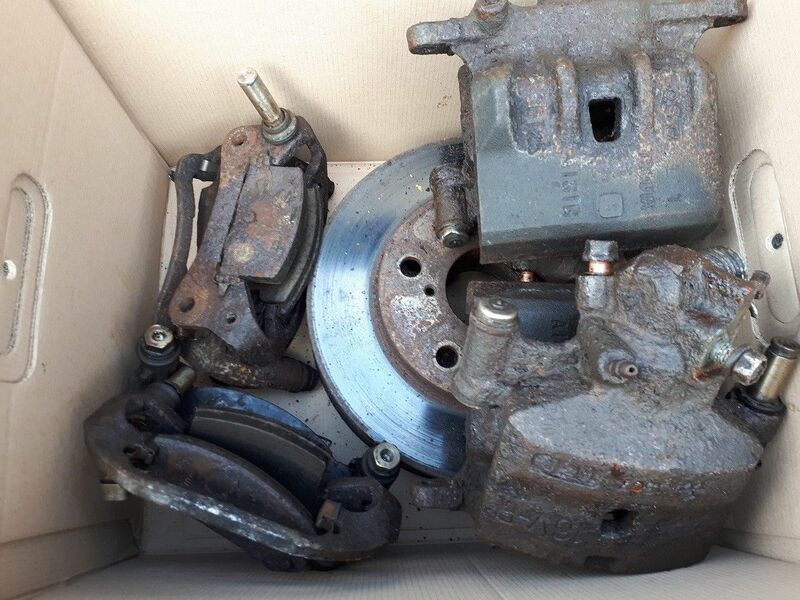 Brakes had seized on 3 of the 4 calipers, this did not free off with a bit of driving or encouragement, so they have all been removed. I have been quoted £250 from Bigg Redd to refurbish all 4 calipers and replace the rubber seals and sliders. There is a blow on the exhaust front section. The heater is not blowing. 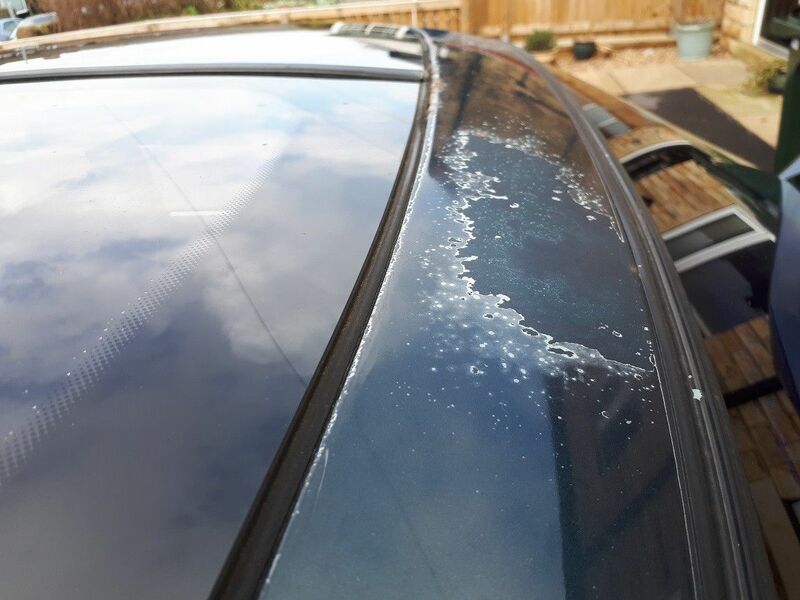 Although the paint buffs up pretty well in general and the car can look quite presentable with a T-Cut and polish, there are some areas that need attention. 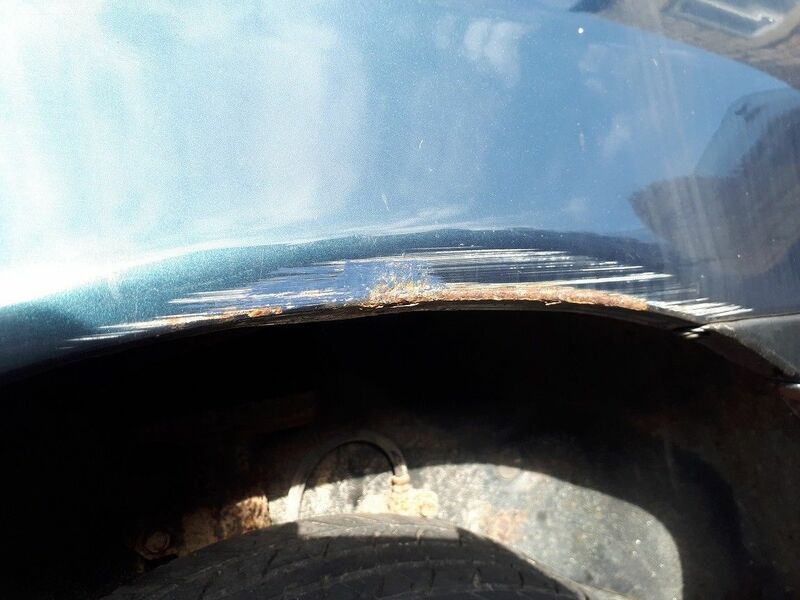 I have shown these in the photos but the main issues are: lacquer peel and surface rust around the T-Bar Roof, scrape to drivers side rear wheel arch and surface rust, corrosion on drivers side inner sill (MOT fail), rust to bottom of both doors, some previous welding to the sills, faded paint here and there, especially the rear bumper, but it did buff up quite well (see photo). There are some small areas which have been poorly touched up by a previous owner. The rear spoiler has lots of small blisters on the paint which is a common pribkem. There will be other cosmetic imperfections here and there. 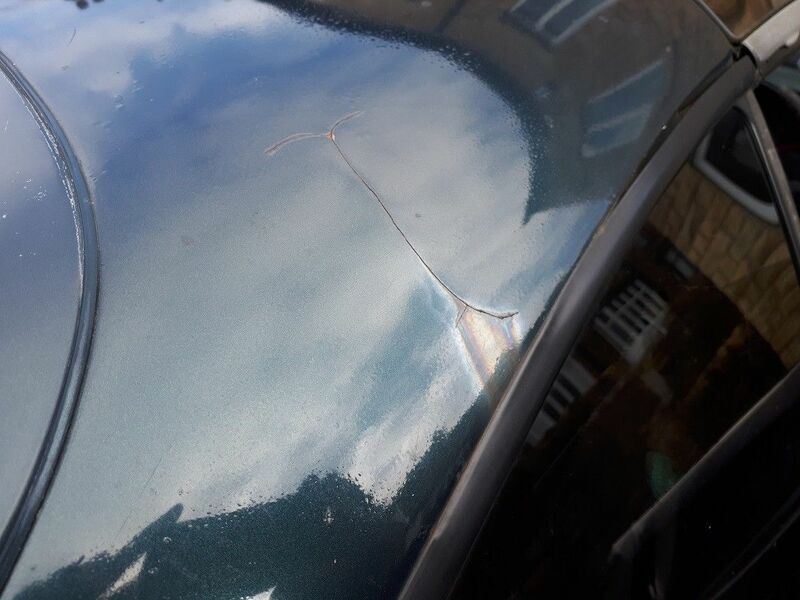 It seems that one of the bushes in the rear wishbone needs replacing – see MOT issues below. I doubt the air-con works. 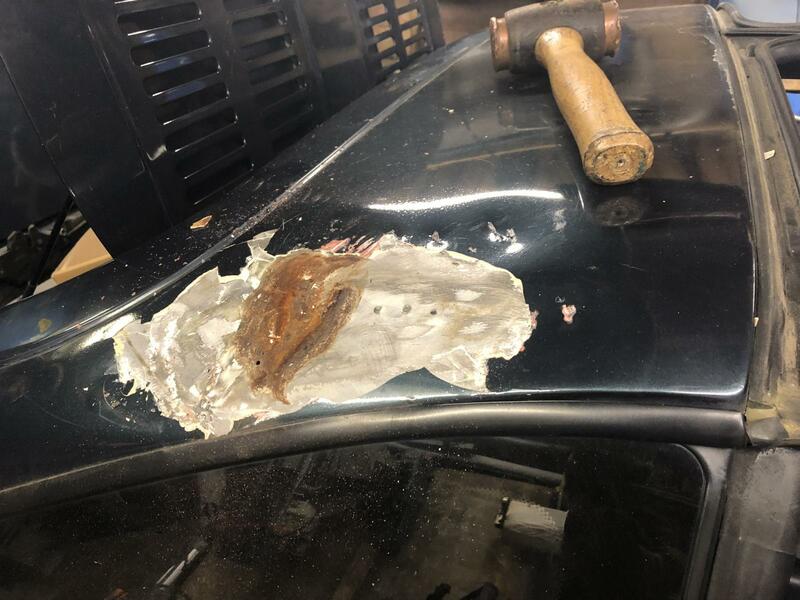 The roof seals leak a bit in heavy rain, but not badly and there is an easy fix for this (involving cling film and some kind of liquid rubber) that you can look up online. Steering wheel pretty worn and has seen better days, gear gaitor missing as above. One of the door locks seized with a key in it and the key snapped off. Thankfully it was the passenger side. Both door lock mechanisms work and both doors open fine on the central locking. The driver’s side opens with the key. I would recommend getting a couple of fresh keys cut. That is all I can think of and I have tried to be as honest as possible, but please bear in mind I have only driven the car 50 miles or so. MOT Points Please have a look through the latest fail sheet and the MOT history online. I put it through a test just after buying it and the following came back. As you can see, most of the issues related to the brake calipers. I believe I have sorted the headlamps. 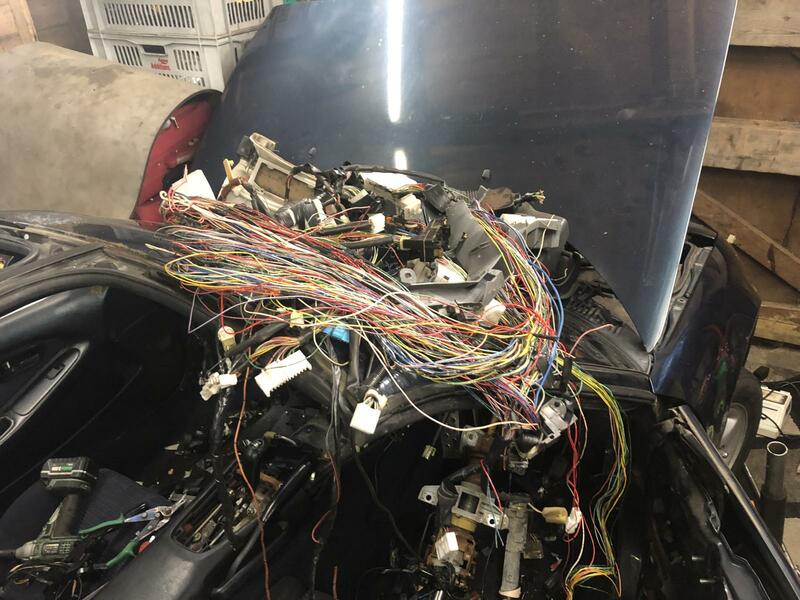 The fog lamp needs replacing but the wiring is all there, just needs a new lamp. I have one somewhere, if I can find it I will chuck it in the boot. Offside Headlamp aim too high wont adjust (1. 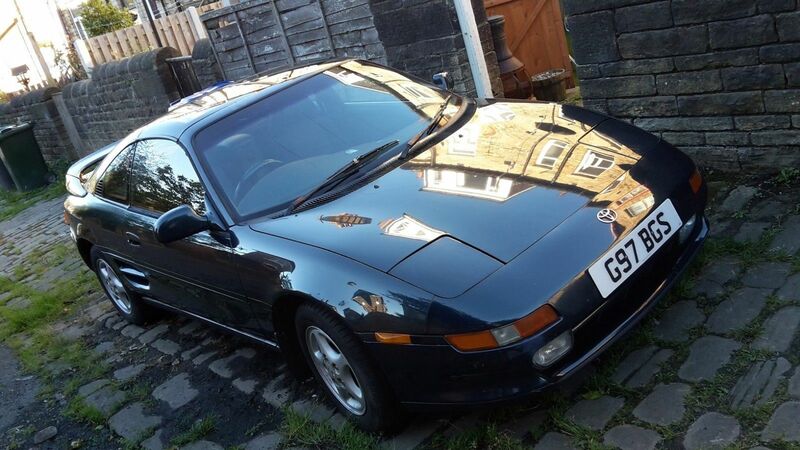 Nearside Headlamp aim too low wont adjust (1. 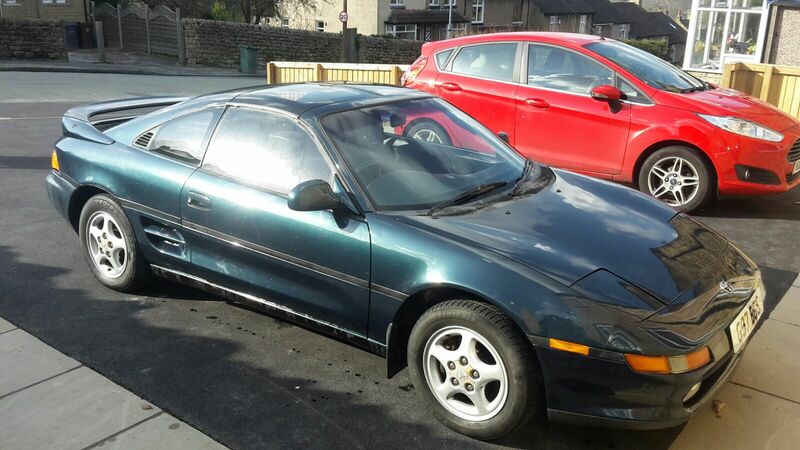 Car is is Shipley, West Yorkshire. If you need any additional photos or owt let me know. We are putting it up at £350 elsewhere so Autoshite discount is being applied. These do seem to be rising in price and this does seem quite a good one to be fair, it's just a shame reality dictates it needs a better home than with me. Sadly Mrs BMH said no. This is precisely the sort of thing that makes me want my own place with a driveway / garage! GLWTS! That looks lovely and needs to be saved! If anyone buys this and needs parts, I have many. Mostly turbo stuff, but I do have some N/A bits. I have my own place but it already 4 of my cars either in the garage or on the drive plus Mrs Imps car, just about fitting on the end. If I brought this over too, I would probably have to go and live in it. 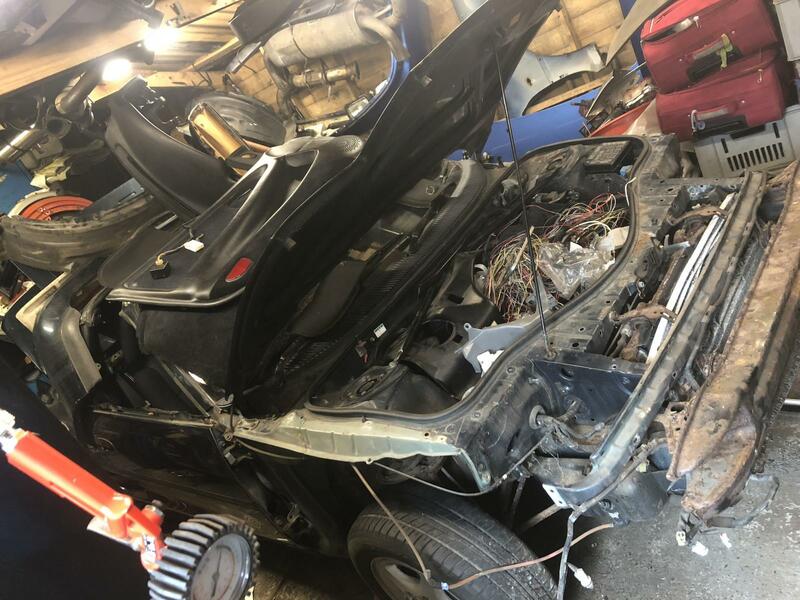 It must be worth saving, I think there's like 2.1 of these left because all the other (several thousand, it would appear) are on eBay with 'Ferrari' body kits. I have no money, missus Moog would kill me, yet I come back and keep looking at this. I am sure it would be a just in case style back up car! I weighed this in, today. It wasn’t worth fixing IMO, plus I only wanted it for parts. 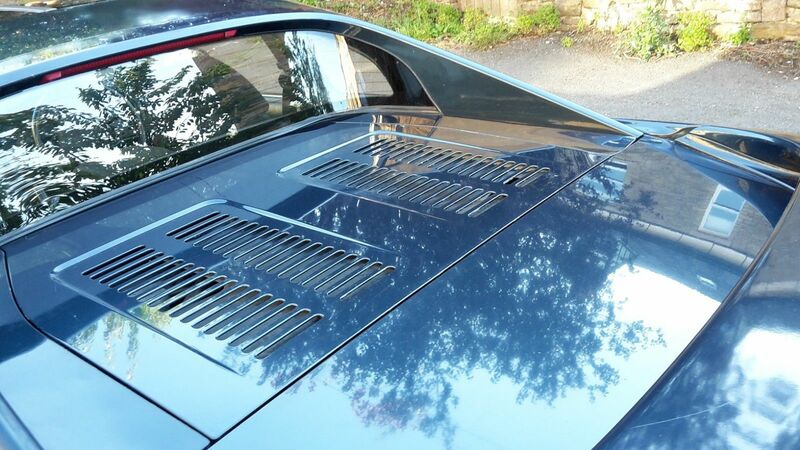 I did hope to take the A/C hard lines, but they were a mess, as the car has had no centre undertrays on for years. Some parts will be fitted to (cruise) or serve as spares for my turbo. Blimey, that was quick. I know you said you were probably going to just use it for your but I didn't need to see photos. I'm already feeling guilty enough about not getting it back on the road. Just kidding. A sad end but hopefully it will help keep some more alive. Shame it wasn't economically viable to do up really. 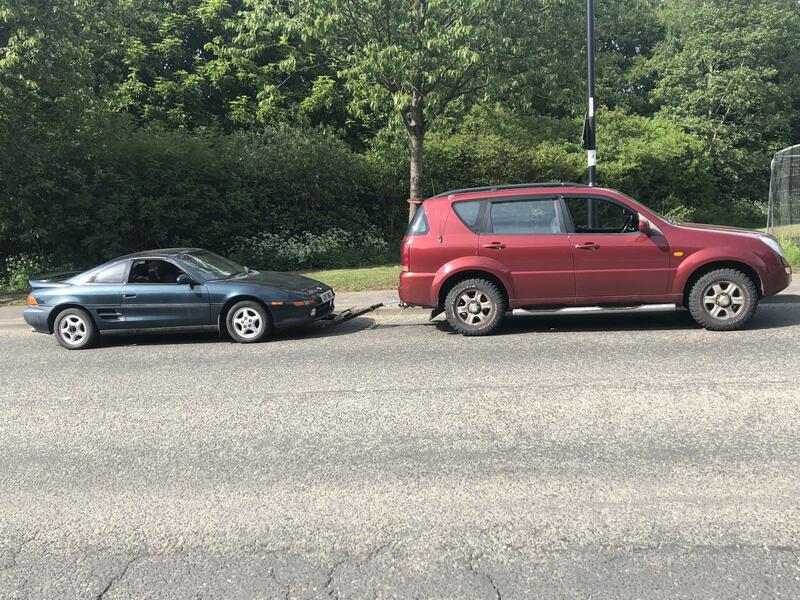 Normally spending twice as much as a cars worth plus endless evenings swearing at it seems reasonable but our hands were forced to get this moved and in reality it was never going to happen until the kids go to university/prison which is a long way off. By that time the spares you yielded from it was be useless too as they will have been destroyed when the ant people of Mars had taken over or we'd been wiped out by nuclear war started by the then American President, Bruce Willis or something. This all sounds very true and plausible. There’s plenty more of them around still, should you ever want another. Barely anyone wants these cars. Hopefully this changes in the future. Just doing my bit for Turbo values. Other 2’s will benefit from the parts, it won’t have died in vain. Plus my forged Rev 3 converted Rev 2 GT will appreciate the cruise control. As an aside, If anyone fancies a fine looking AS t-shirt as modelled above by filthy john, holla at the boy.